Martha Jane Canary was a tobacco-spitting, beer-guzzling, foul-mouthed woman who preferred men’s clothing to dresses. She was well known through the Hills as Calamity Jane, but how she got this nickname is a legendary debate. 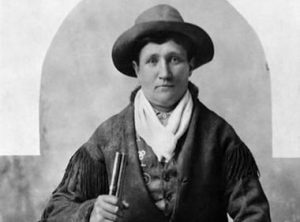 According to Old West legend, Calamity Jane rode into a group of fighting hostiles to save a wounded army captain. Jane emerged from the fight untouched so the captain named her “Calamity Jane.” Or did he? Some say Jane made the whole thing up because she was looking for attention from the town’s legendary men—especially Wild Bill Hickok who she claimed to love. Calamity Jane was also a well-known humanitarian in Deadwood, nursing Deadwood residents stricken by the smallpox epidemic. 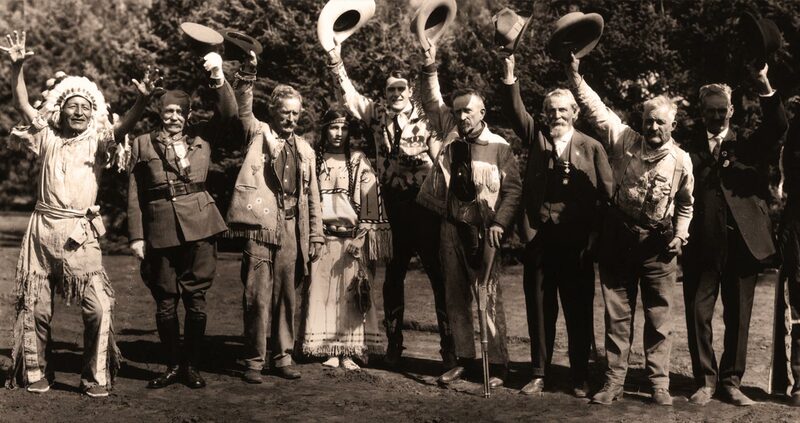 After the death of Wild Bill, Jane moved around and even joined Buffalo Bill’s Wild West show for a time. She moved back to the Black Hills in 1903 and worked as a cook and housekeeper in Dora DuFran’s Bell Fourche brothel. She died a few years later. She’s buried next to Wild Bill Hickok at Mount Moriah Cemetery. It’s widely reported that Hickok, who was married, had little interest in Jane and that’s why the townsfolk buried her next to him so she could spend eternity with him and they could play the ultimate joke on Hickok.